Gov. 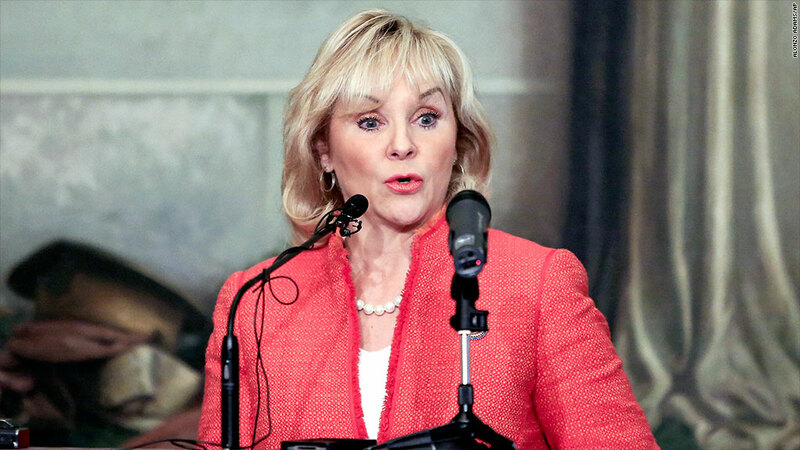 Mary Fallin has spoken out against increasing the minimum wage. Oklahoma cities and towns are banned from raising the local minimum wage under a new state law. Gov. Mary Fallin signed the measure Monday. The new law also bars localities from requiring that employees receive a certain number of sick or vacation days, either paid or unpaid. With legislation to increase the federal minimum wage stalled in Congress, proponents of a raise have turned their attention to states and cities. Several have recently approved increases to $10.10 an hour. That is the level supported by congressional Democrats and President Obama, who has urged local governments to act. The Oklahoma law blocks that sort of move. Critics of the bill say it was a direct response to a petition in Oklahoma City seeking to put a wage increase on the November ballot. David Slane, a local criminal attorney who drafted the proposal, said the signature-gathering began a month ago and was already more than halfway to the approximately 10,000 signatures required for a spot on the ballot. Organizers are deciding how to move forward. Slane said. They're weighing a challenge to the law's constitutionality or a statewide petition, which would require significantly more signatures. Fallin, a Republican, said the law "protects our economy from bad public policy that would destroy Oklahoma jobs." "Mandating a minimum wage increase at the local level would drive businesses to other communities and states, and would raise prices for consumers," she said in a statement. She has also opposed a federal increase to the minimum wage.